According to the Centers for Disease Control (CDC) more than six million people over the age of 12 will begin abusing prescription drugs. While the abuse of illicit drugs goes down, more and more people begin to abuse "legal" prescription drugs. This is a fast-growing trend in the United States. Even more alarming is the fact that young people aged 15 to 24 is the fastest growing demographic of prescription drug abuse. Prescription drugs are easy to abuse because they are so easy to find. And it's not just getting them from the doctor. The National Institute on Drug Abuse reports that most people who abuse prescription drugs get them from relatives or friends. This can be done as people share their prescriptions with others - or even as abusers steal them from medicine cabinets or purses. Another factor that contributes to prescription drug abuse in America is the fact that so many people think that because medications are legal, they are safe. Unfortunately, this is not true, despite the perception. Prescription drugs are only safely used by those to whom they have been prescribed, and only when following directions. In fact, these so-called "legal" drugs are not actually legal when they are not taken according to physician instructions. As emergency room visits due to problems from abusing prescription drugs grow, it is important to be aware of the dangers. Prescription drugs can cause heart and respiratory problems, as well as affect memory, judgment and nervous system functions. 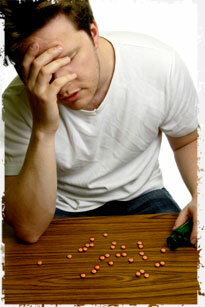 In some cases the problems from prescription drug abuse can affect one's health throughout life. Prescription drug abuse can even lead to death. If you notice that a loved one is showing signs of prescription drug abuse, it is important to get help for him or her as soon as possible. Some signs of substance abuse include withdrawal from family and friends, and refusal to participate in activities that were once enjoyed. Constantly looking for money - or selling valuable personal items to get money - can be an indication that the person is looking to buy prescription drugs. Additionally, watch for signs of dramatic changes in appearance and hygiene habits, as personal neglect is a sign of drug abuse. There are many options for prescription drug abuse. Behavior modification techniques can be very helpful, when the person has a strong support system. It is also possible to help someone abusing prescription drugs through treatment facilities. Treatment facilities offer support systems, and usually use a combination of behavior modification and pharmacological means to help someone overcome addiction. And there is 24-hour help available when someone stays on site. Prescription drug abuse can be very devastating. It can pull lives apart and cause serious health problems - and even be a cause of death. It is important to help loved ones who may be abusing prescription drugs. There are many resources, and plenty of information, regarding prescription drug abuse. Make sure you get the facts so that your loved ones can get the help that they need.